Mix everything up in a bowl and season with salt and pepper. Store covered in the fridge for the week. Store chopped melon and onion in containers in the fridge for the week. Cook bacon in a heavy pot or dutch oven over medium high heat until crisp. Add carrots, onion and celery and cook until onion is softened. Add jalapeno, garlic and red pepper flakes and cook an additional 3 minutes. Add broth, scrape bits from the bottom of the pan and bring to a boil. Reduce heat to medium low and simmer until vegetables are very soft, about 20 minutes. Use an immersion blender to puree the soup in the pot or blend in small batches until smooth and return to the pot. Stir in cheese and stir until melted and smooth. Remove from heat, stir in salt, pepper and cream. Store in the fridge for the week. 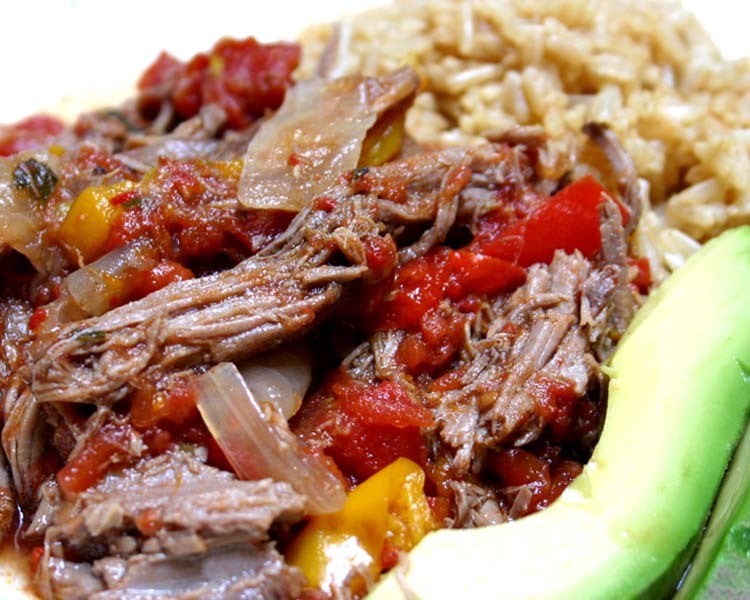 Put everything in a slow cooker, evenly spreading the vegetables over and under the meat. Salt and pepper everything (about 2 teaspoons of salt and 1/2 teaspoon of pepper). Cook on low, covered for 8 hours. using two forks, shred the beef and mix into the cooking liquid. Store in the fridge for the week. Cook bacon in a non-stick skillet over medium high heat for about 1 minute per side or until crisp. While that cooks, toast both muffins. Remove bacon from pan and cut in half. Spray the hot pan with cooking spray or throw in a pat of butter. Crack both eggs into the pan. Cook about 1 minute per side or until desired done-ness. Lay one egg on the bottom of each muffin. Top with bacon, then lettuce and then tomato. 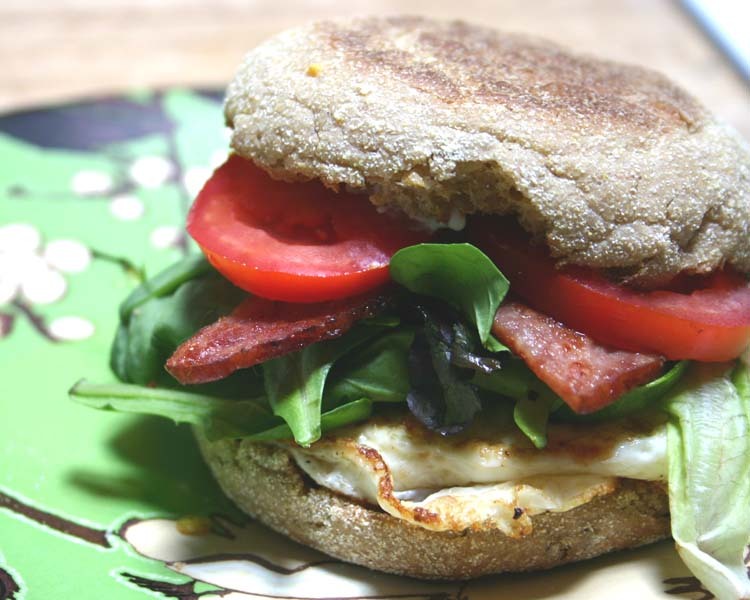 Spread a little mayo on the top half of the english muffin and finish off both sandwiches. Eat! Divide the greens between two plates, top with the beans and lightly toss to combine. 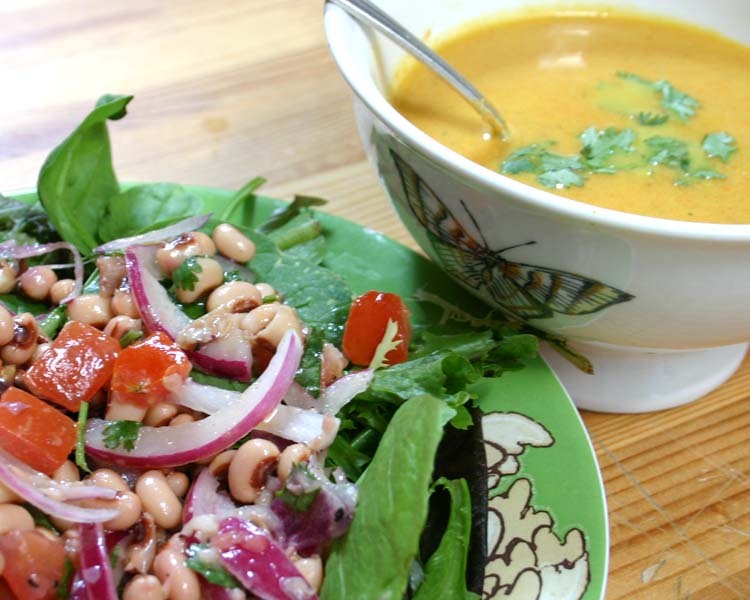 Top the reheated soup with cilantro and serve with the salad. Heat 2 cups of water in a small saucepan to boiling over high heat. Stir in the rice, cumin, a sprinkle of salt and a couple of dashes of Tabasco. Bring back to a boil, lower heat to very low and cover. Cook 18-30 minutes depending on the package directions. Remove from heat, fluff with a fork and divide half of it between two plates. Store the other half in the fridge for the next day. Top the rice with half of the beef and avocado per plate. Sprinkle with cilantro and serve. 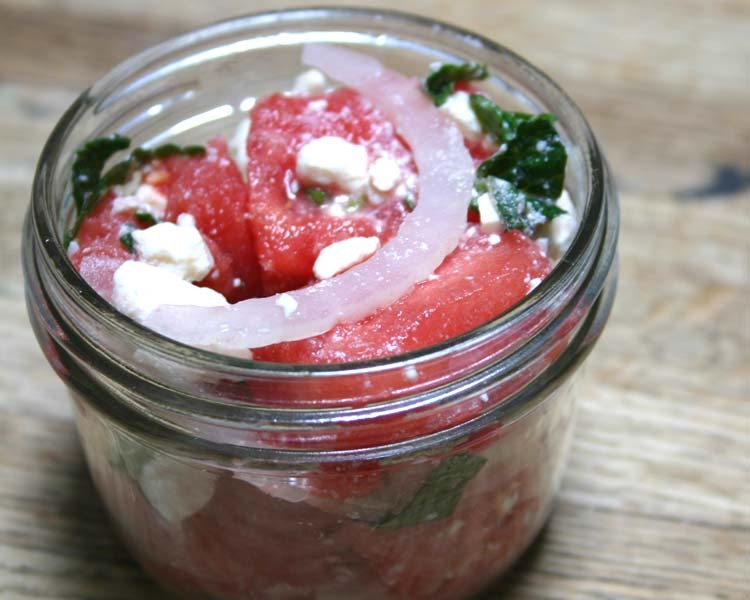 In a bowl, mix the watermelon with the onion and mint. Sprinkle with feta and drizzle with a little vinegar. Toss to combine and divide between two bowls. That soup should be in a museum somewhere. A refrigerated museum.